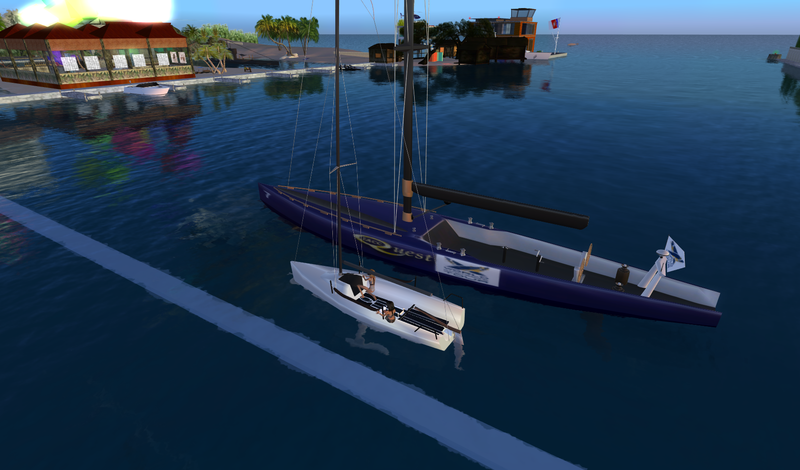 Qyv Inshan’s latest creation — The Quest Melges 24 — came down the metaphorical ramp last Friday over at OrCafe. It was a great launch, hosted by Orca Flotta and Emceed by Quirky Torok, and the debut was attended by a throng of enthusiastic sailors excited about the new boat. 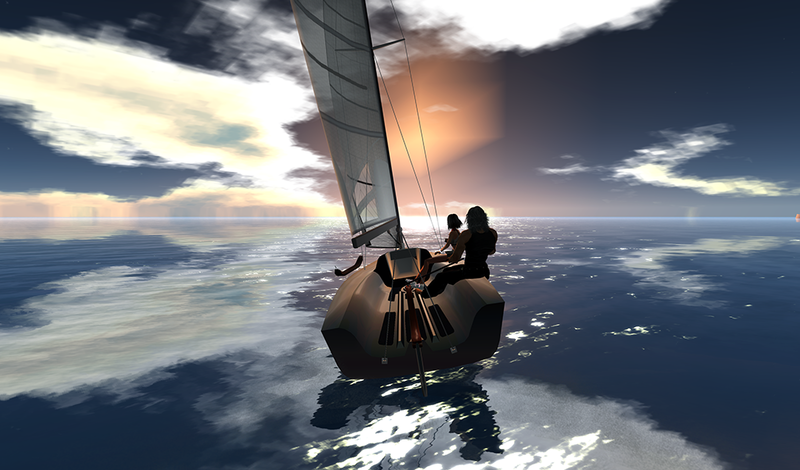 Qyv Inshan took it all in stride; her reputation as a boatwright is already well-known in the SL sailing community. She’s created some of the most popular race boats in Second Life, from the diminutive Q M-2 to the rather majestic Q IACC. Over the past two years she’s also strongly collaborated with Elbag Gable and LDeWell Hawker, building great match boats that raised the skill level of all sailors in SL. However, on Friday she launched her best boat ever; it’s a wondrous emulation of the real-life Melges-24 racer. The boat is only 8 m in length (see above), but it’s full of scrappy attitude that comes directly from the RL Melges competition tour. 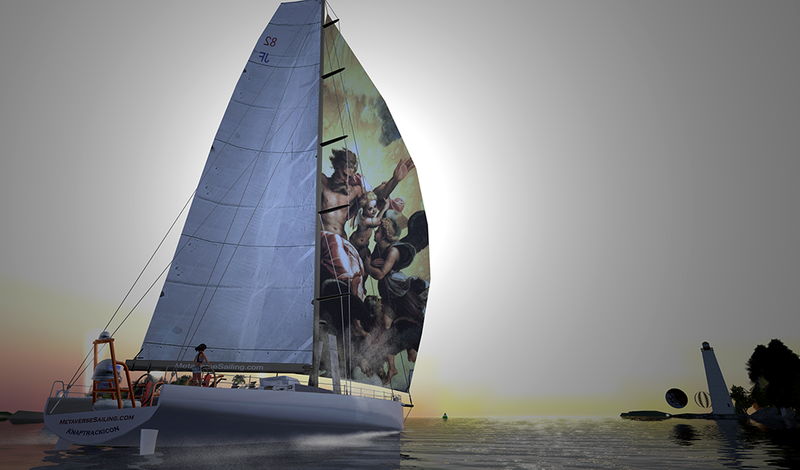 This boat’s a thrill to sail, on any race course, and under nearly any regatta format. Anyway, in the three days that followed the Melges-24 launch, sailors gave Qyv a number of helpful suggestions about the boat. One issue turned out to be a real glitch: there was a potential script exploit in the spinnaker polar when sailing at close-haul angles (I know, I know… you’re thinking “No sailor uses a spinnaker close hauled,” and I guess that’s the point). 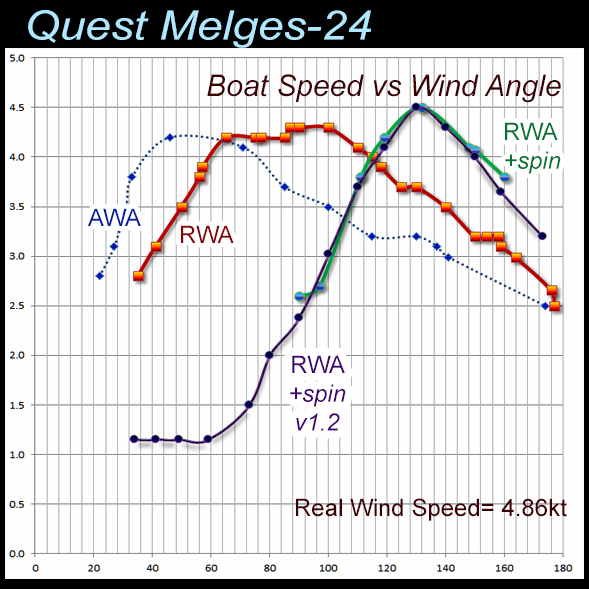 This was a minor issue, but Qyv promptly fixed it and issued an update release: the Quest Melges-24 v1.2. The Boat Speed chart above is largely identical to the one I posted a few days ago; it shows baseline curves for boat performance for version 1.0. I’ve superimposed the numbers for the new v1.2 spinnaker for comparison (in purple). As you can see, the results are identical to the earlier boat and the ‘upwind penalty’ is now flat from 30-60 degrees RWA. The new release adds a few more bells and whistles too, so go take a look! 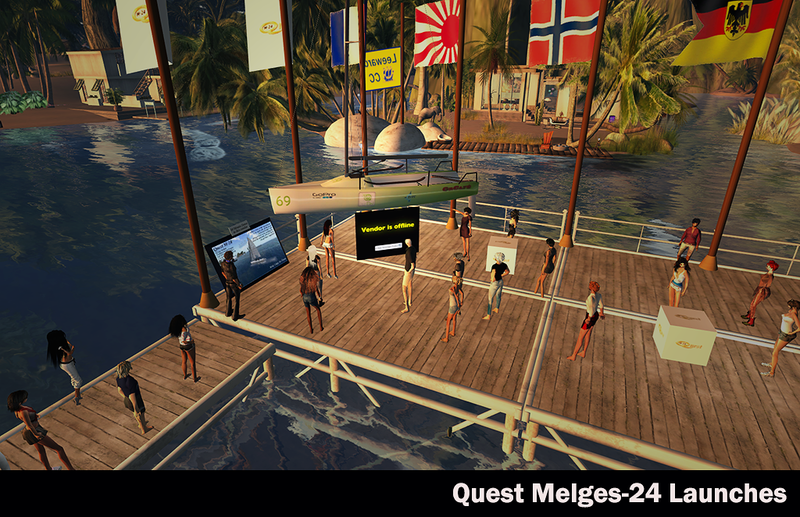 This entry was posted in announcement, Melges 24, Quest Marine. Bookmark the permalink.